Sometimes clients really benefit from taking prescription medication to relieve some of their symptoms. While psychiatric medication cannot cure disorders, they can make symptoms less of a problem. This can improve the quality of life for some. We certainly recognize that many people do just fine without taking medication. 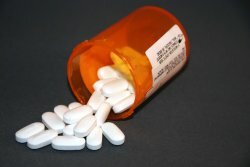 Whether or not to take medication is a decision best made in consultation with a physician, preferably a psychiatrist. In some cases, there may be non-prescription alternatives to taking a pill. It's your decision to make. We know from research that, for some people, regular aerobic exercise can be as effective with depression as taking a prescription antidepressant. Can Bexar Family Solutions prescribe mental health medications? If you have insurance, contact your insurance company to find a psychiatrist that is in your network. If you do not have insurance, but can afford to pay for the services, use your local telephone directory to find a psychiatrist near you. Please note that the first appointment with a psychiatrist typically costs $200 or more. If you are not comfortable seeing a psychiatrist, cannot wait to be seen by one (they often have waiting lists of two weeks or more), or cannot see a psychiatrist for any other reason, contact your primary care physician (PCP). Describe your symptoms, and allow him or her to prescribe needed medications. Please note that medications do not generally cure the problem. They may reduce some of the symptoms, but talk therapy is an essential part of treating any mental health concern.